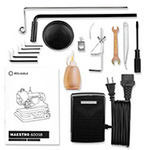 For hemming pants, skirts, and dresses, the 600SB with all metal casting offers the whole package. Low noise and vibration design, and Reliable dependability and quality. 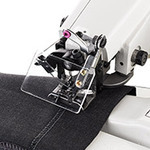 The adjustable stitch penetration dial allows the user to modify the depth of the needle penetration, ensuring that the stitch does not show on the outside of the fabric. To protect your eyes, the 600SB is equipped with a clear plastic eye guard. 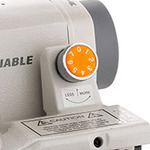 Adjust from 1:1 to 2:1 with a simple flick of a lever. 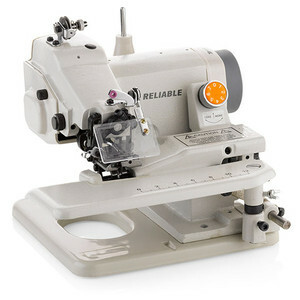 Allows the machine to skip every other stitch which reduces puckering on light-weight fabrics. 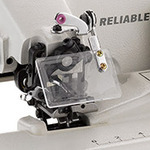 From pants to light drapery the 8mm frame drop clearance makes this machine a versatile performer. Binds quilts quickly and easily. Thanks for the help. I ordered the Reliable this morning. Looking forward to using it.